The conflict between the Myanmar military – known as the Tatmadaw - and the Arakan Army, dates back around a decade. 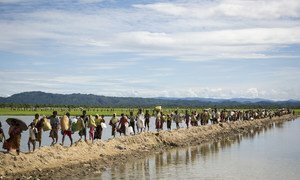 #Myanmar: We are deeply disturbed by the intensification of conflict in #Rakhine. The consequences of impunity will continue to be deadly. We call on the Tatmadaw & Arakan Army to immediately cease hostilities & to ensure that civilians are protected. The most recent violence was prompted by Arakan Army attacks on several police posts on 4 January, Ms. Shamdasani said, leading to credible reports of the killing of civilians, burning of houses, arbitrary arrests, abductions and damage to cultural property. The fighting was not simply an issue of Buddhists against Muslims, Ms. Shamdasani said, explaining that it has affected various ethnic groups in Rakhine and Chin States, including Rakhine, Rohingya, Chin, Mro and Daignet. 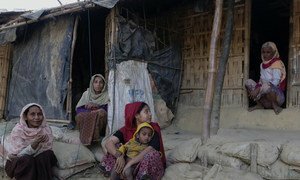 A humanitarian crisis fuelled by the suppression of basic human rights is continuing across Myanmar’s Rakhine state, a UN Human Rights Council-appointed expert said on Monday, in an appeal for alleged atrocities there to be referred to the International Criminal Court (ICC).